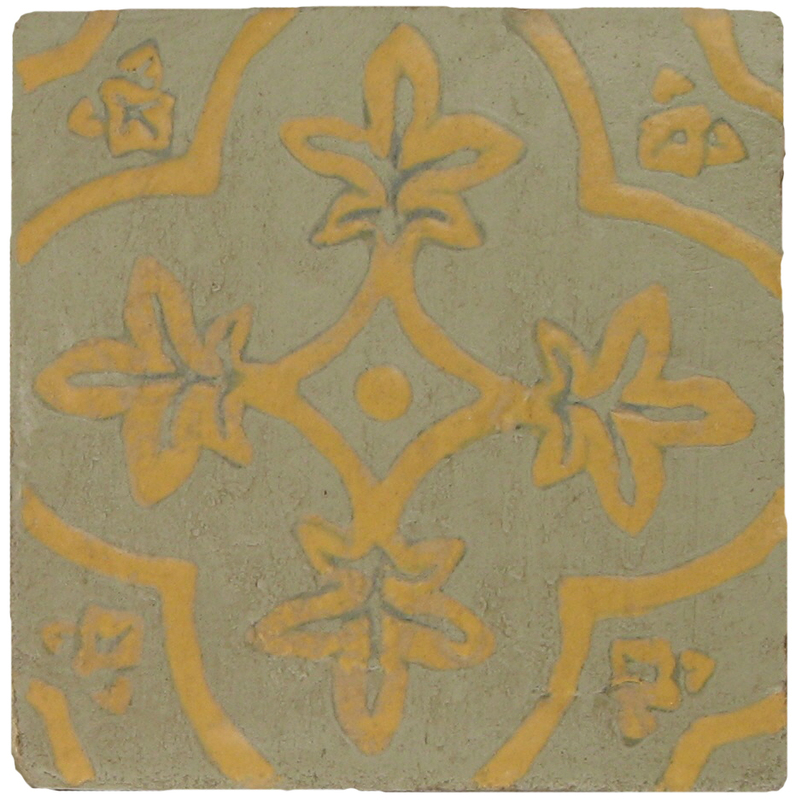 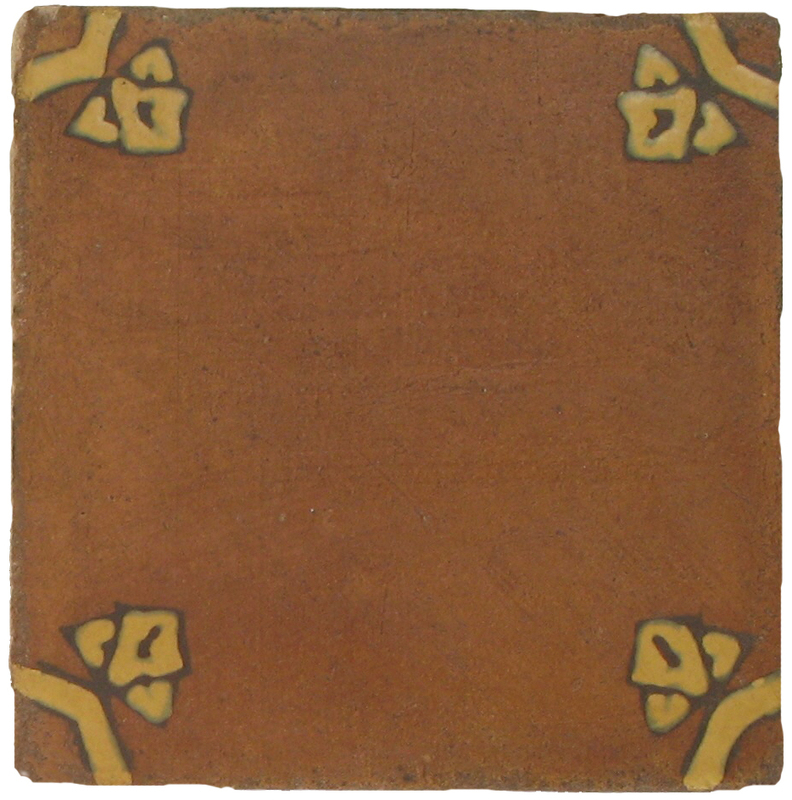 Sizes: 4"x4", 6"x6" and 8"x8"
Each GLAZE Color is available in 6 DESIGNS and 16 BACKGROUND Colors. 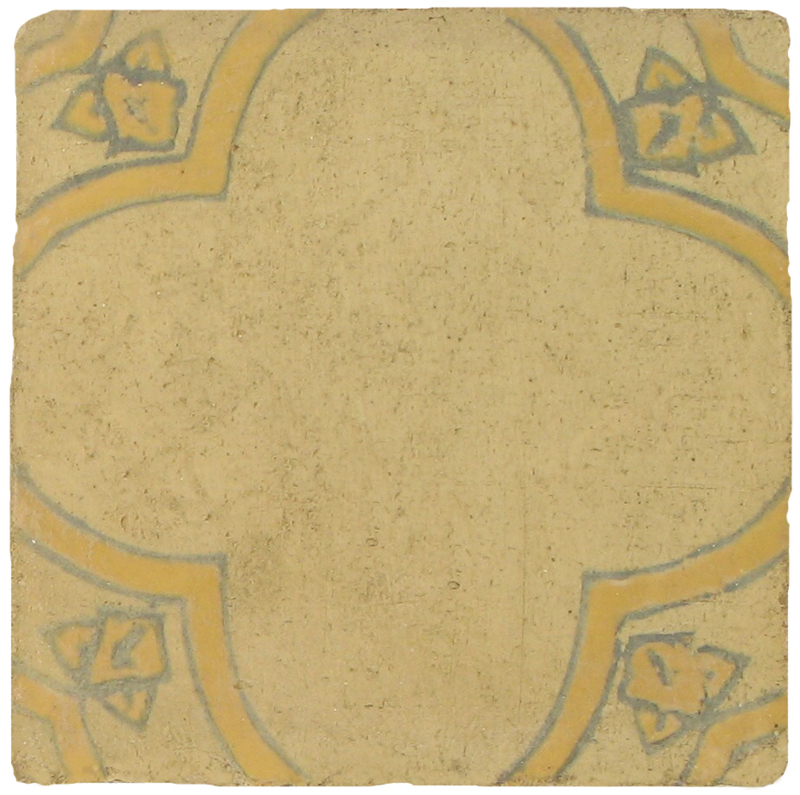 Click on any image to get large size view and product description. 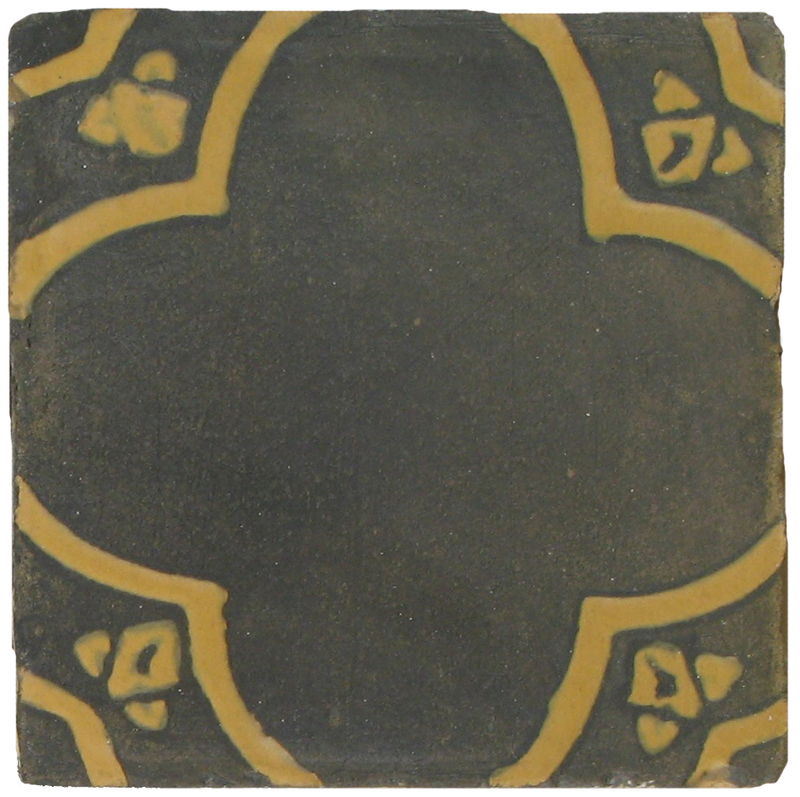 Glaze and Background Colors Info: The combination of SATIN BLACK Glazed Color over CARBON BLACK Background Color is not available, as both colors are very similar, with no contrast between them, which makes the design not visible. 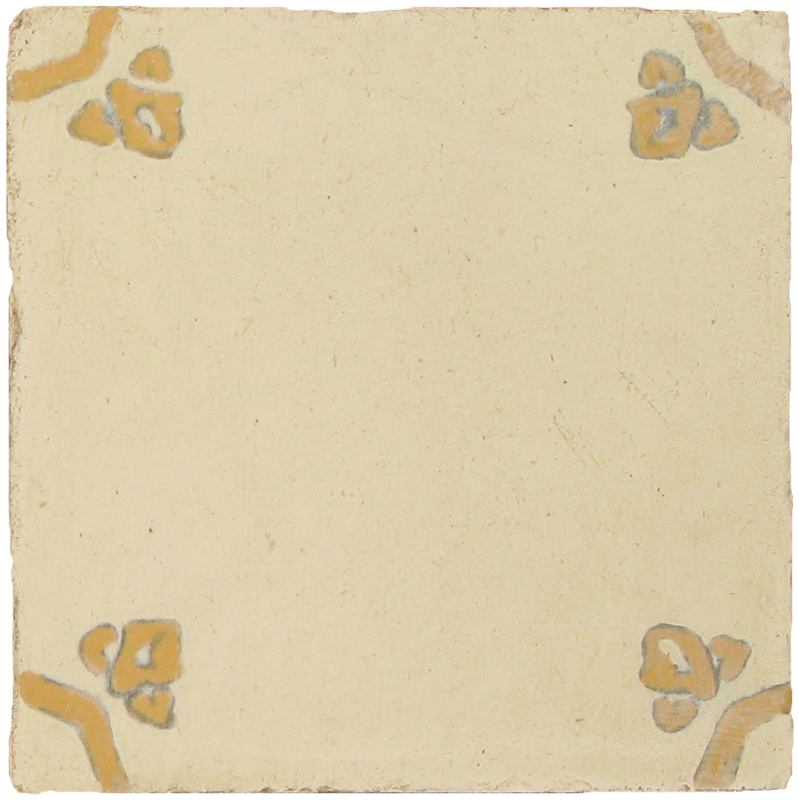 AW-Antique White GLAZE Color and AW-Antique White BACKGROUND color are not the same, as they are applied with different production methods, but can be combined together, as there is some contrast between them. 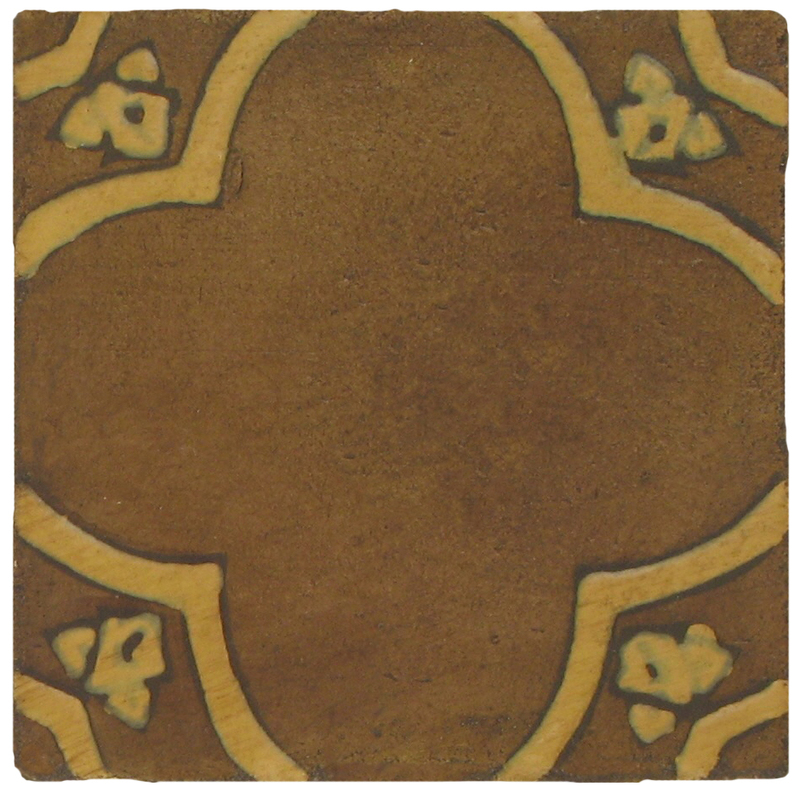 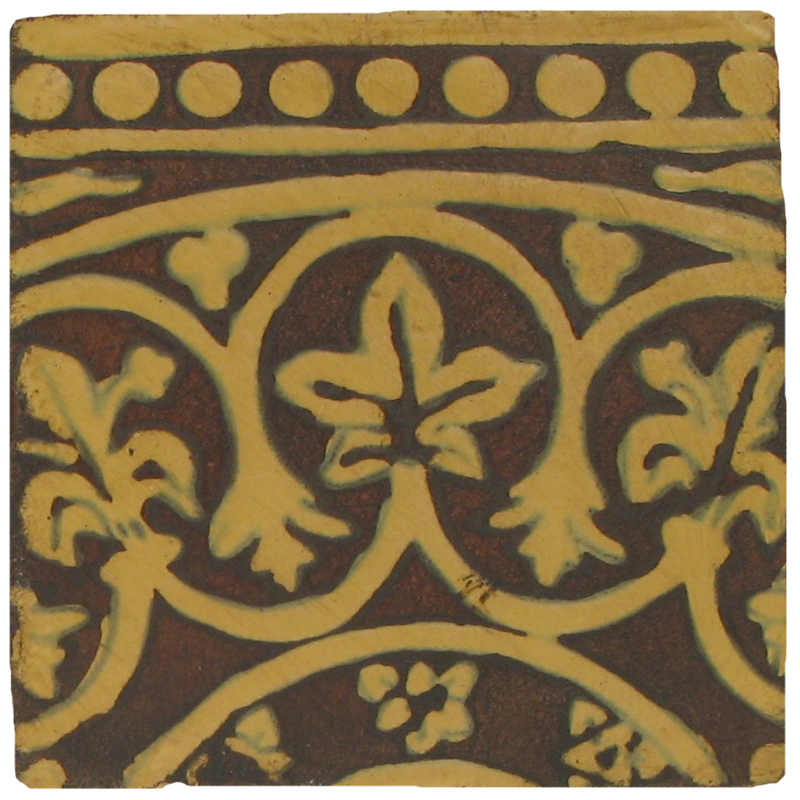 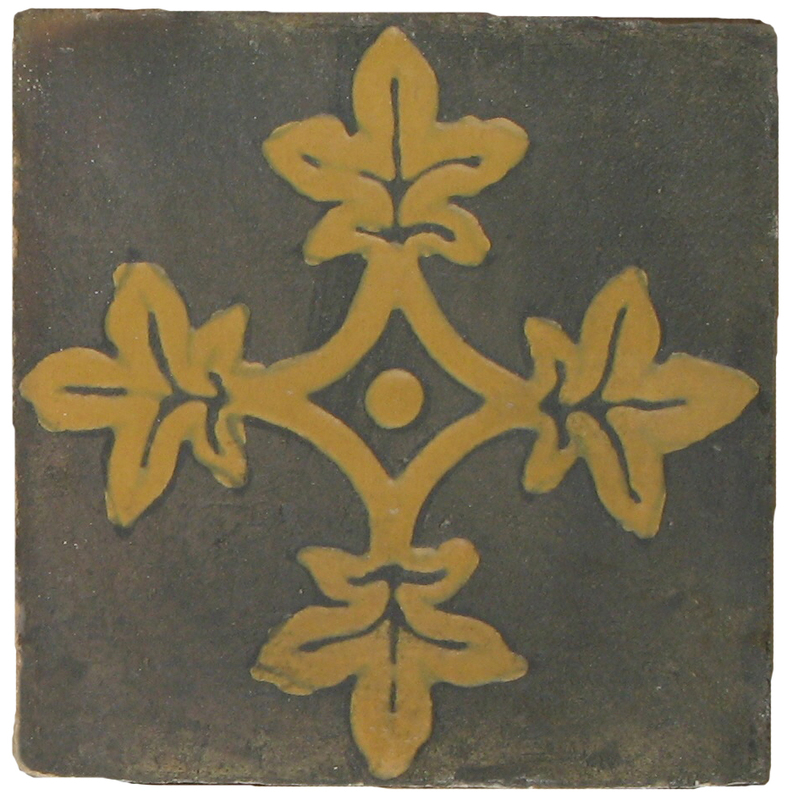 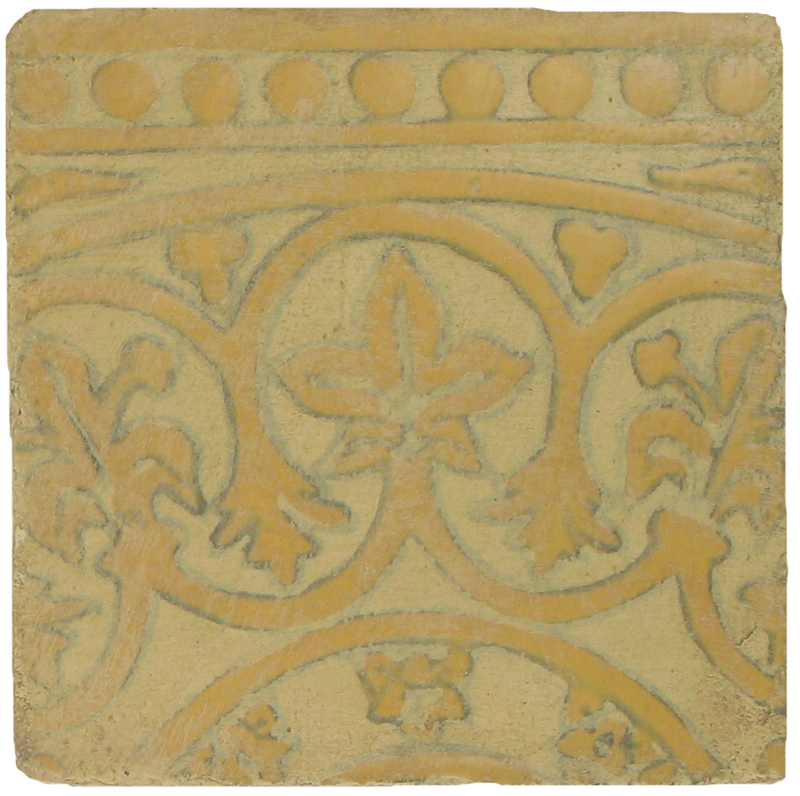 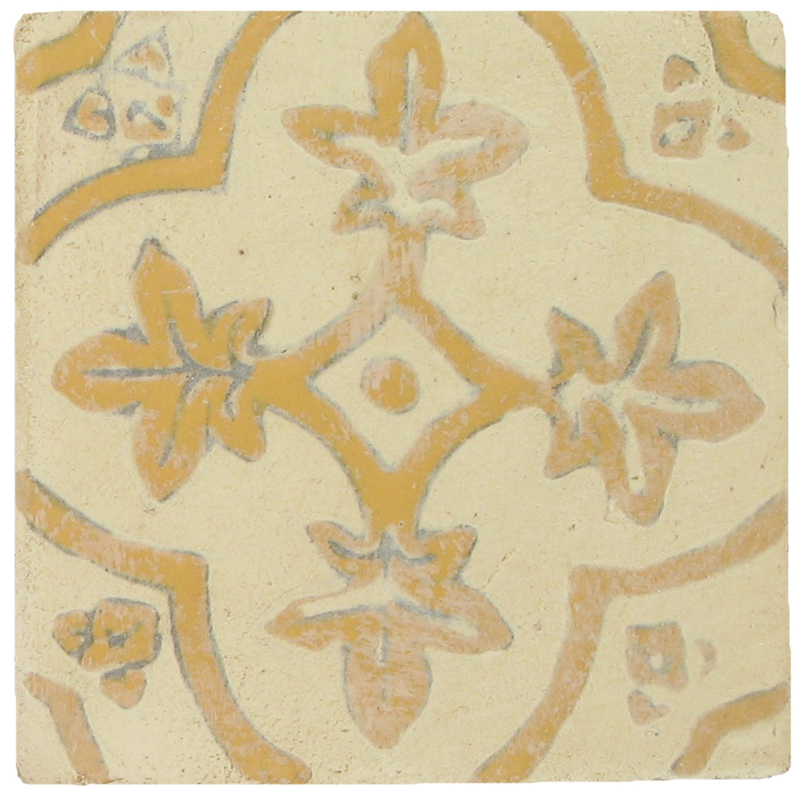 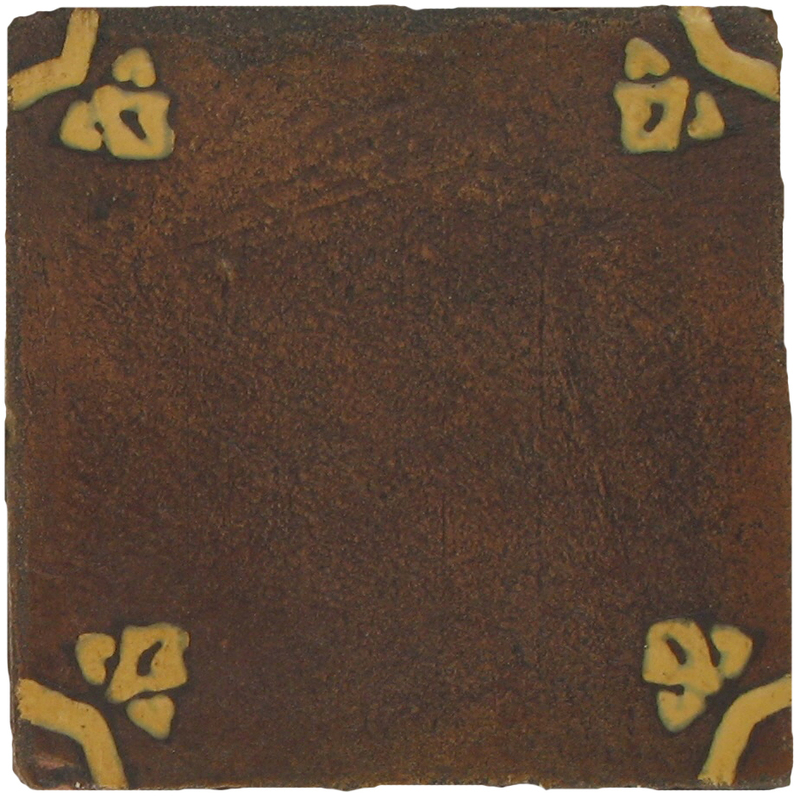 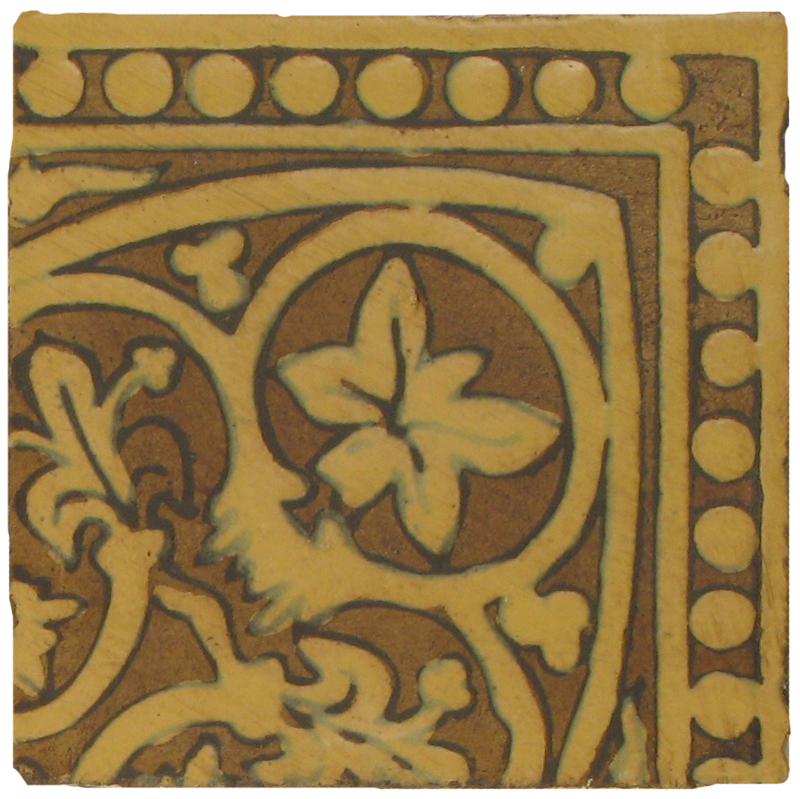 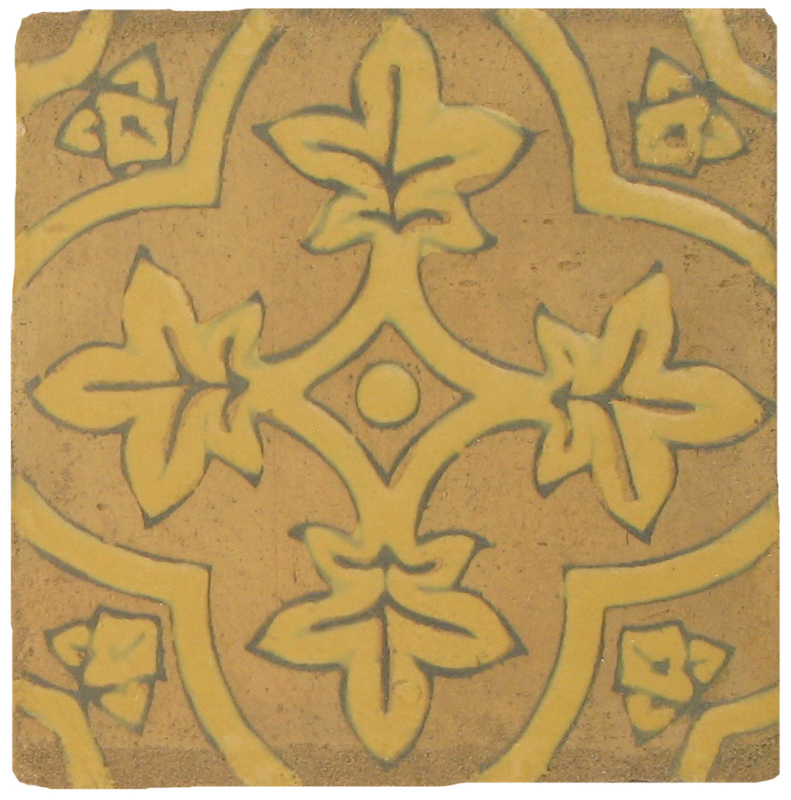 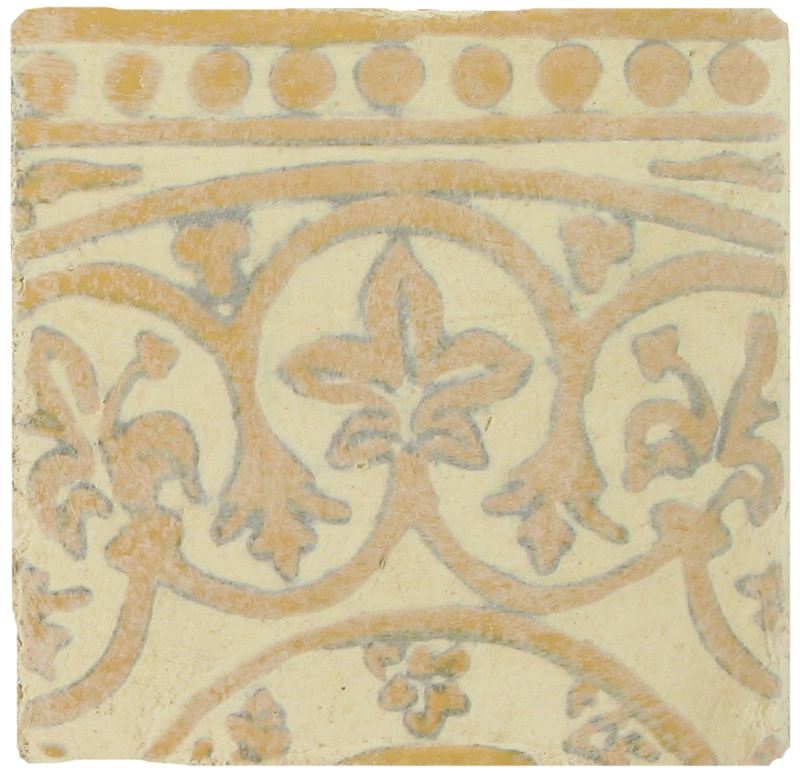 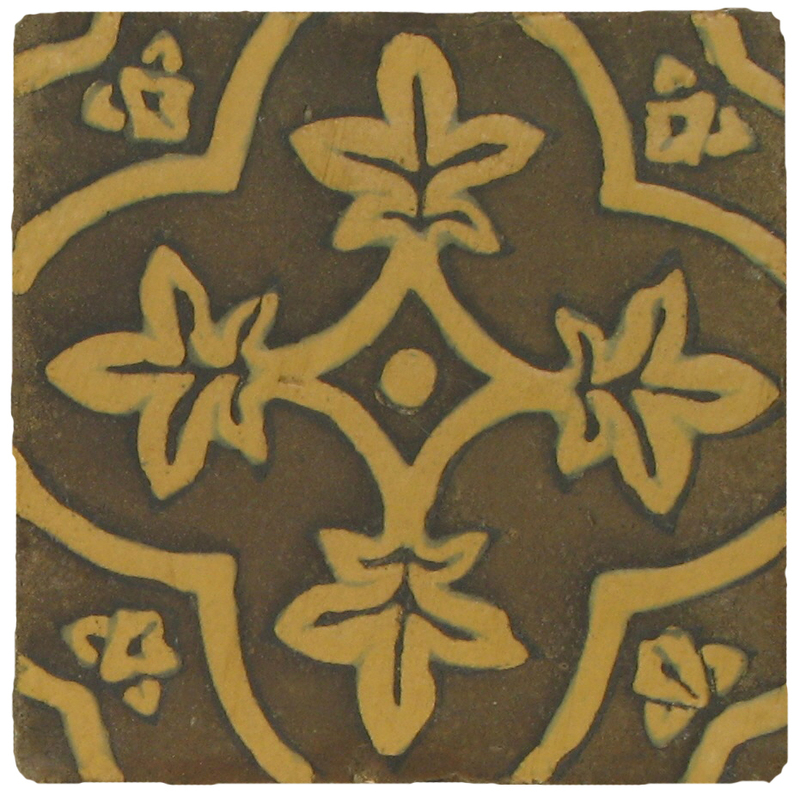 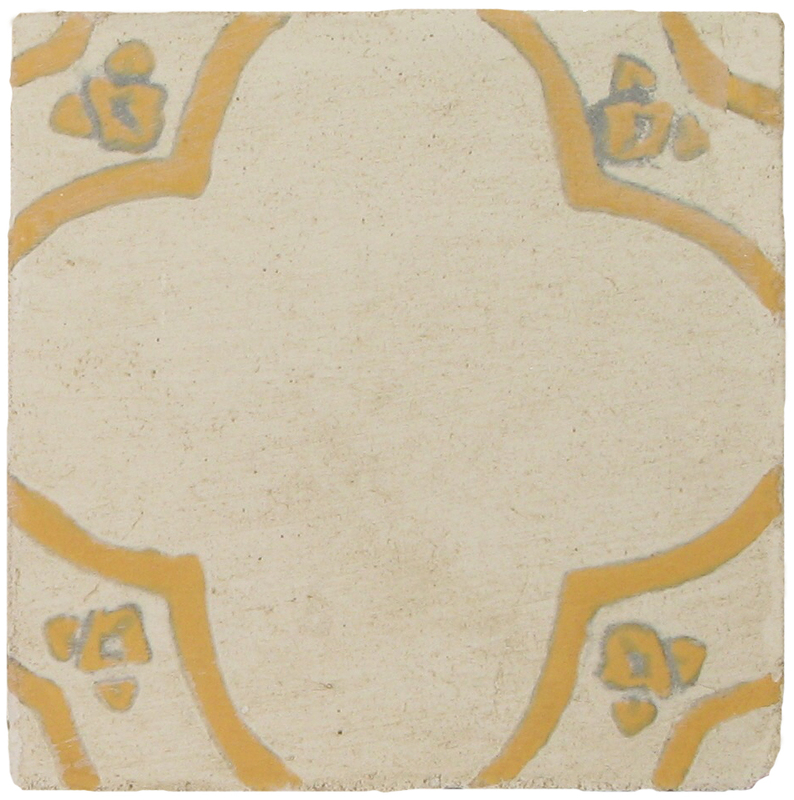 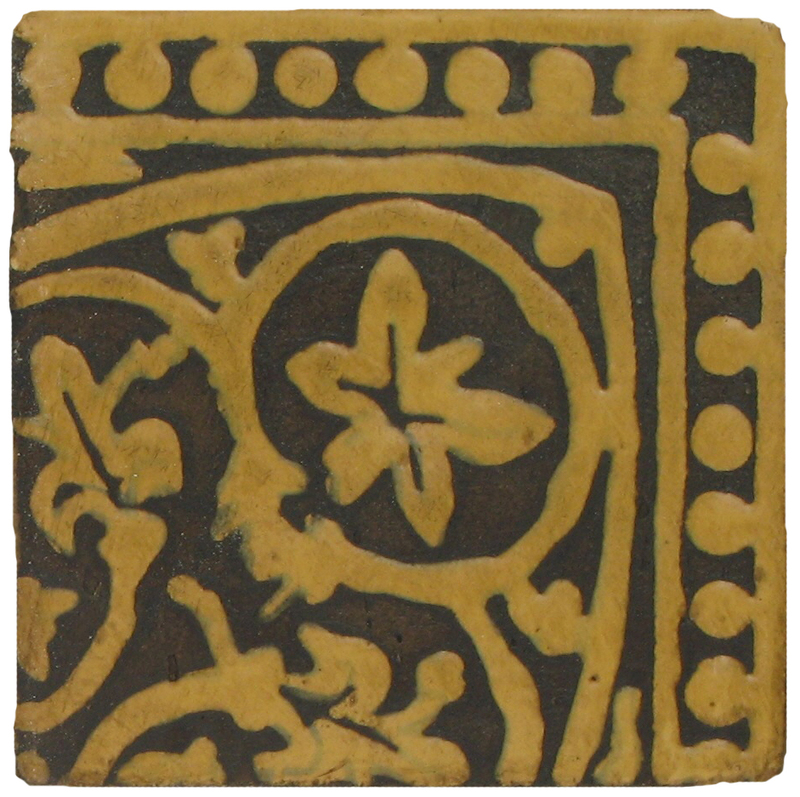 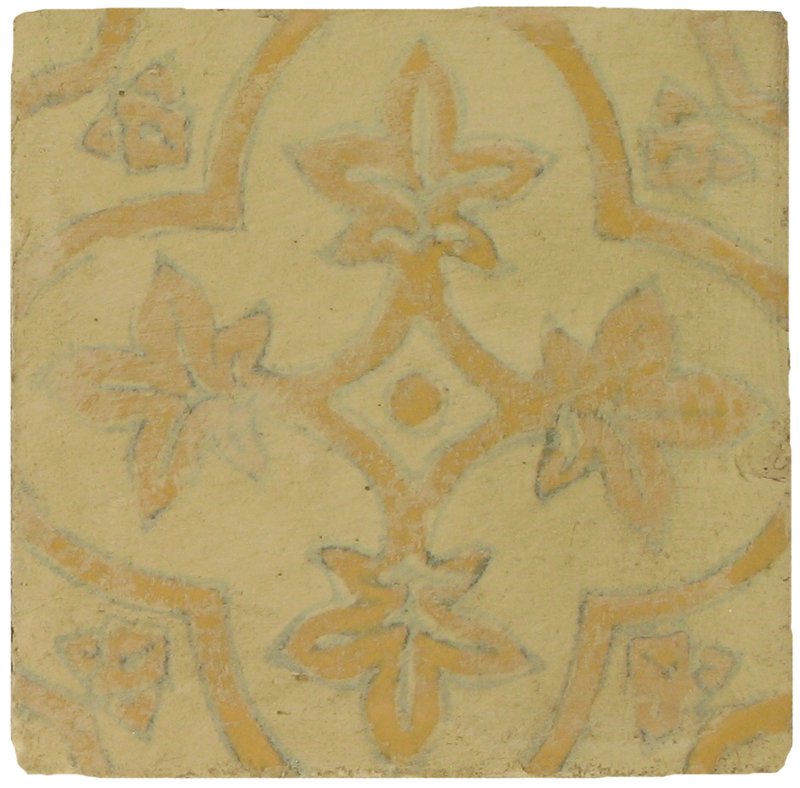 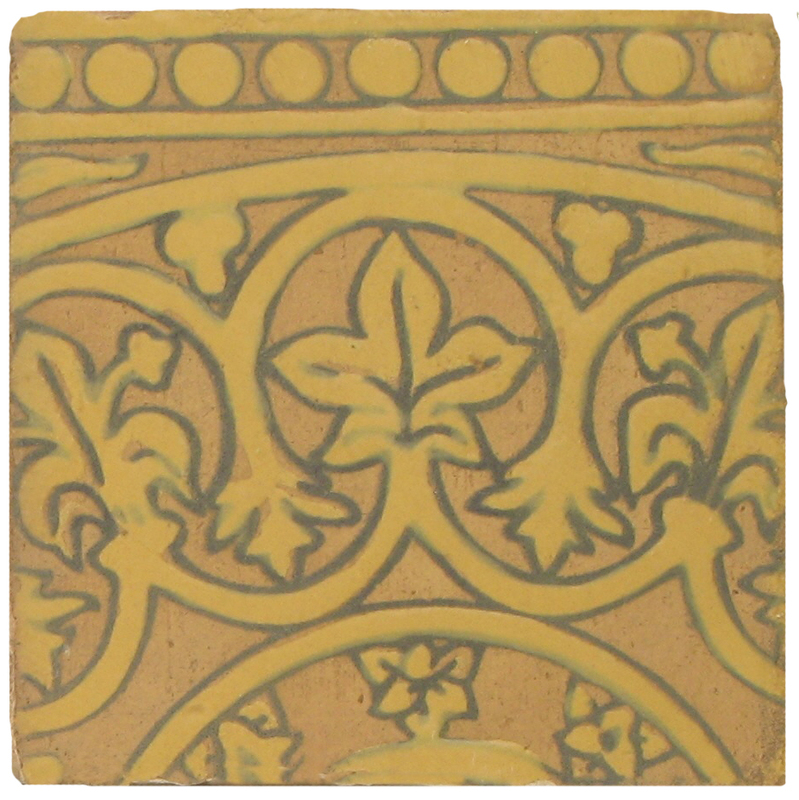 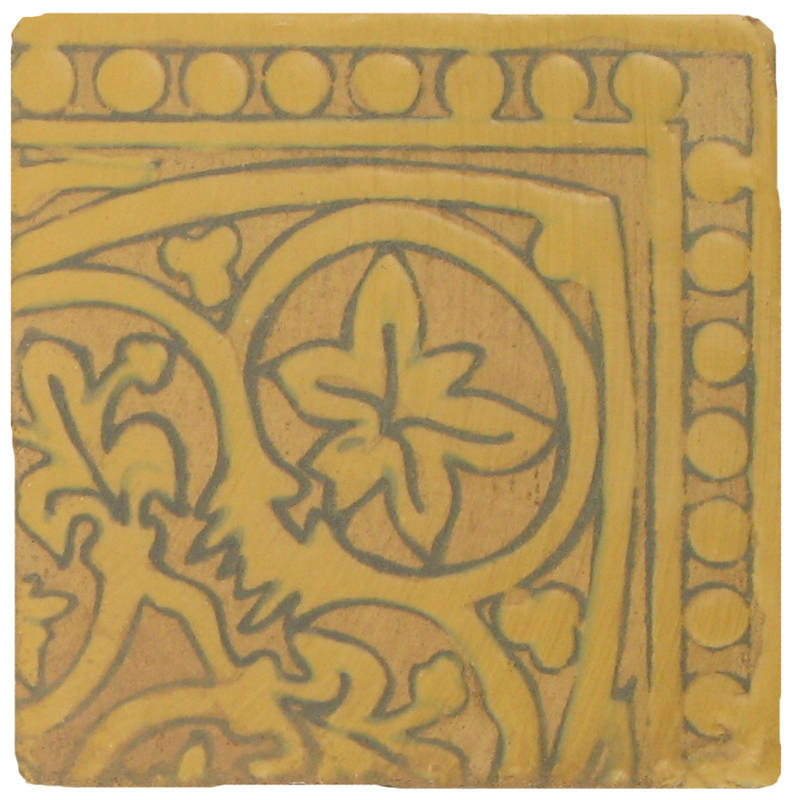 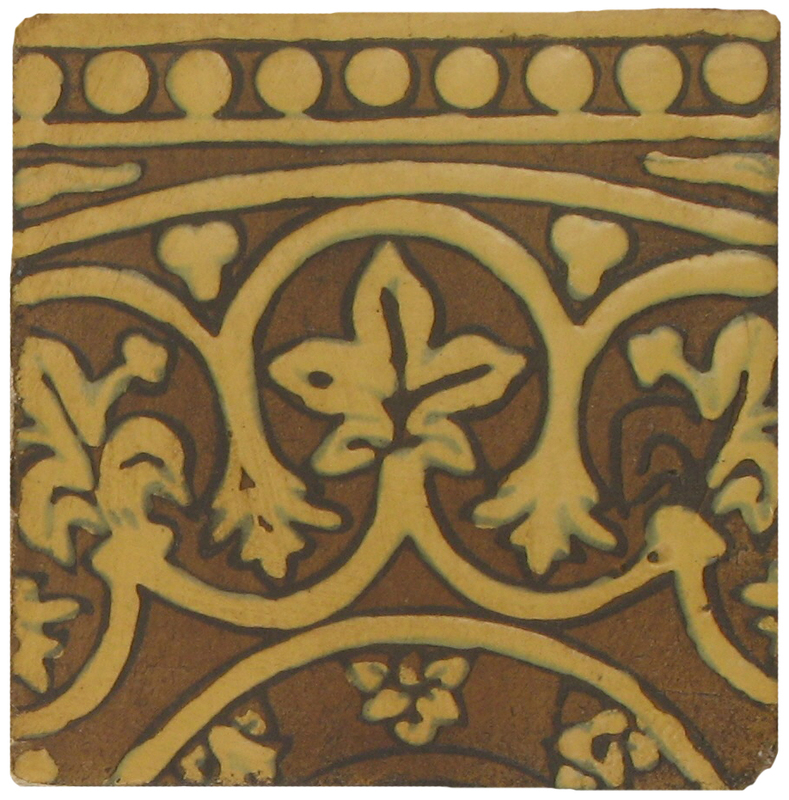 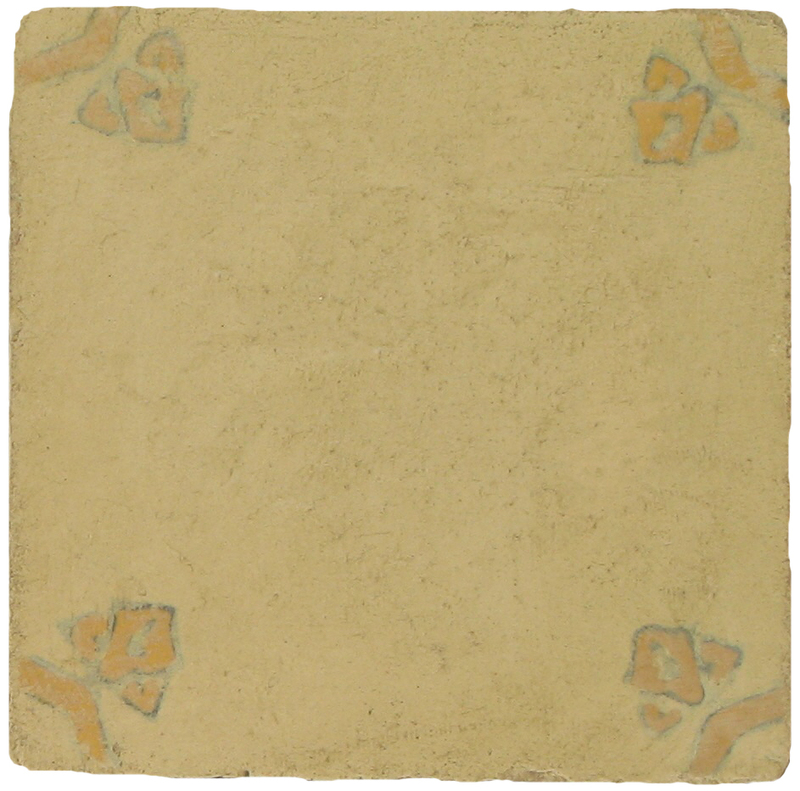 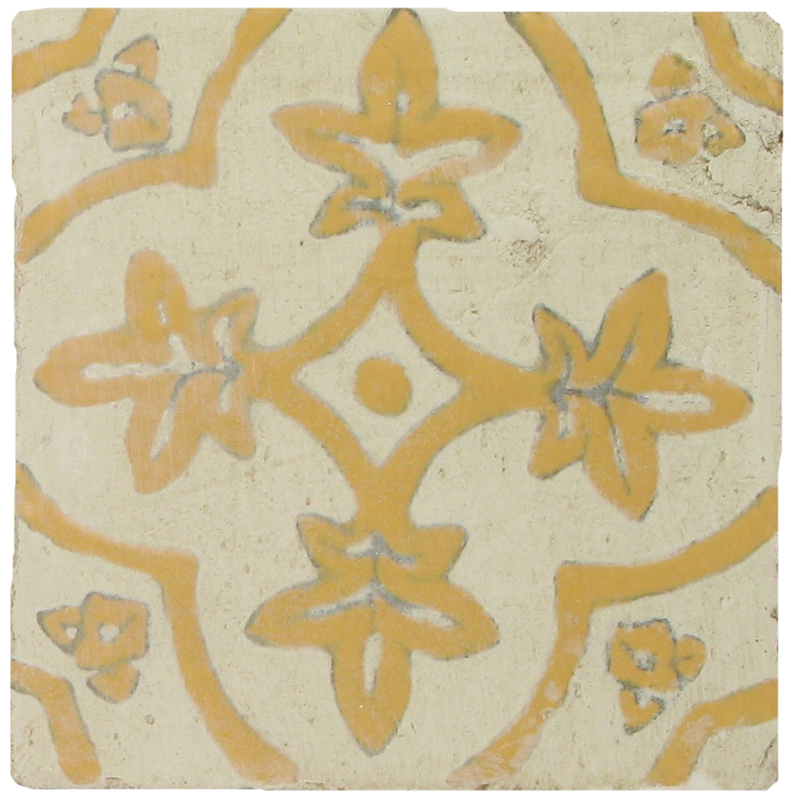 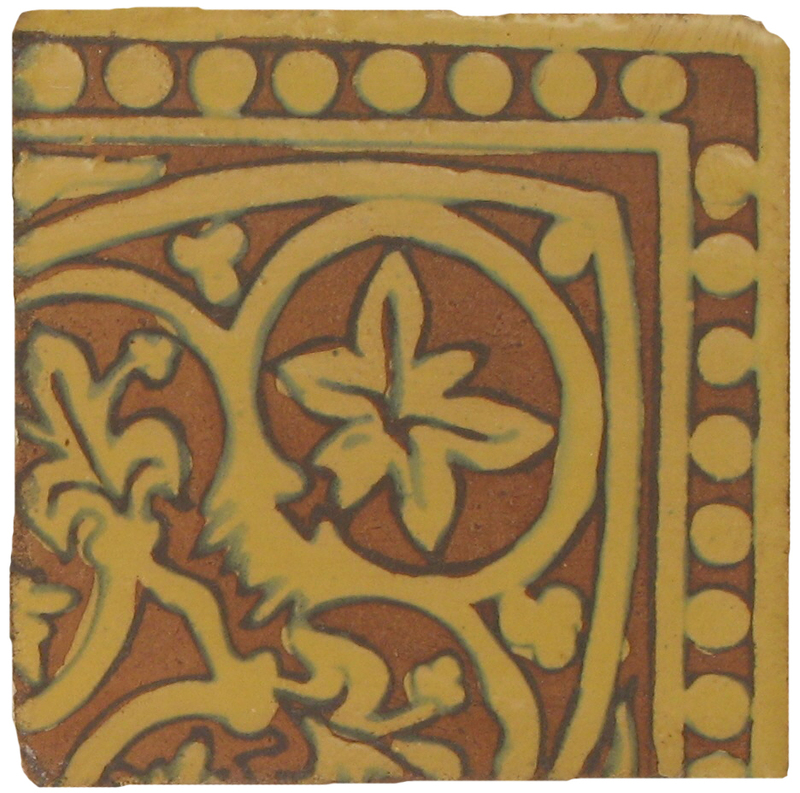 In addition of the usual variation of a hand made tile, all GLAZE Colors may have additional color variation due to the Stained or Glazed BACKGROUND Colors applied over them. 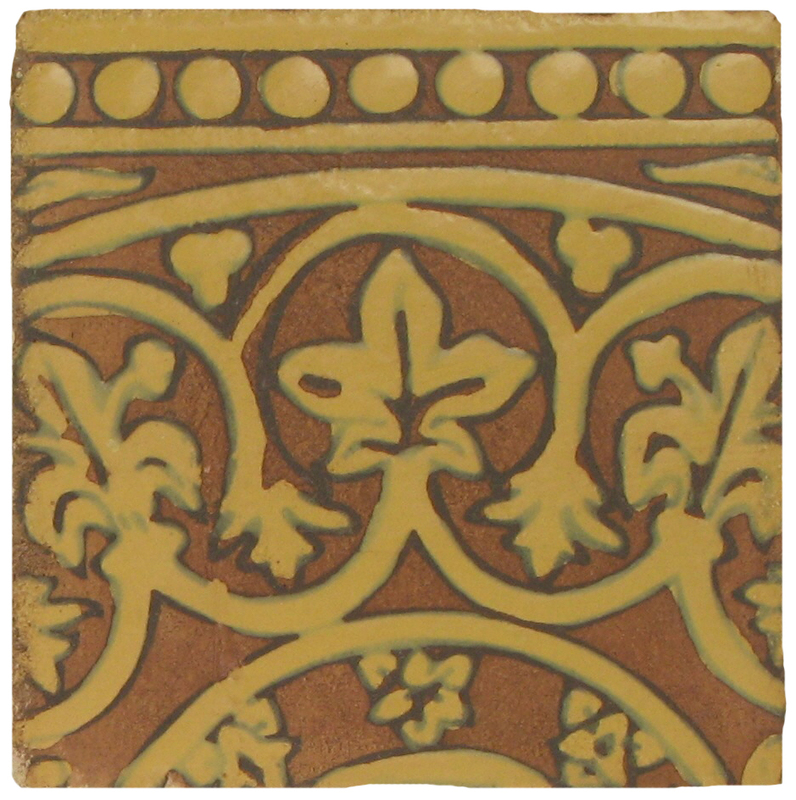 The different absorption of the Fire-GLAZED design area will create these variations, as shown in the product images of this Collection.